Product information "Shibumi Capybara Gloves With Rabbit Fur Lining - Black"
Our gloves are meticulously made by hand in an Italian family business with over 200 years of tradition. The gloves are closed by hand from the outside, resulting in unparalleled comfort since there are no annoying seams on the inside. Also the three ornamental seams on the back are done by hand. We decided on a divinely soft cashmere lining that matches the softness of the leather perfectly. The individual grain pattern of the leather makes each pair of gloves unique; fresh out of the box, these are beautiful to behold, but show their real potential only after a certain time of use: some parts darken, others become a little lighter, some get a subtle sheen; watching the slow patination of these gloves is a real joy. 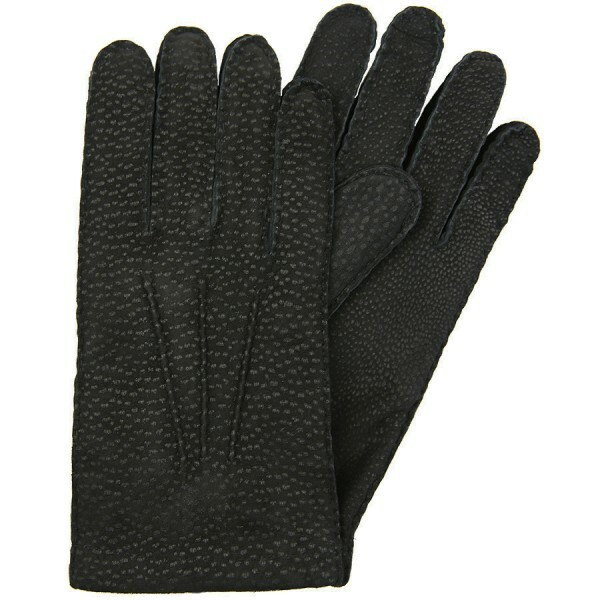 Related links to "Shibumi Capybara Gloves With Rabbit Fur Lining - Black"